Do you want to keep your curls and waves feeling soft, lustrous, smooth and manageable, naturally, without harsh chemicals or heavy products that weigh your hair down or make it feel stiff or sticky? Beautiful Curls Curl Defining Gel from Alaffia is an all-natural, handmade gel that helps reduce frizz, define waves and curls while adding shine and residue-free moisture. 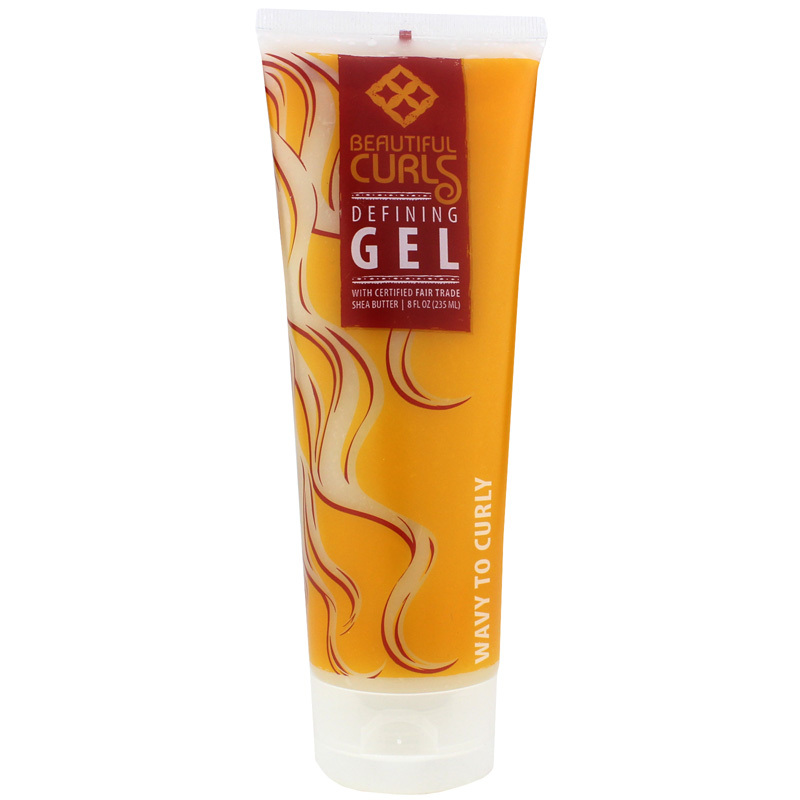 This curl defining gel is suitable for curly and wavy hair, and can help hydrate and define while reducing frizz. It features shea butter, aloe vera gel, coconut oil, herbal extracts, essential oils and more for healthy hold, softness and shine. The shea butter in this curl oil is certified fair trade and handcrafted. The workers in the West African (Togo) cooperative receive fair wages & benefits and the shea butter is unrefined and processed without toxic solvents. When you want to keep your curls and braids soft and shiny while holding their style all day long, this all-natural curl gel may be just the alternative you've been searching for. No mineral oil or synthetic oils to clog hair follicles and no synthetic scents. Order today to get your curls in healthy, beautiful shape! 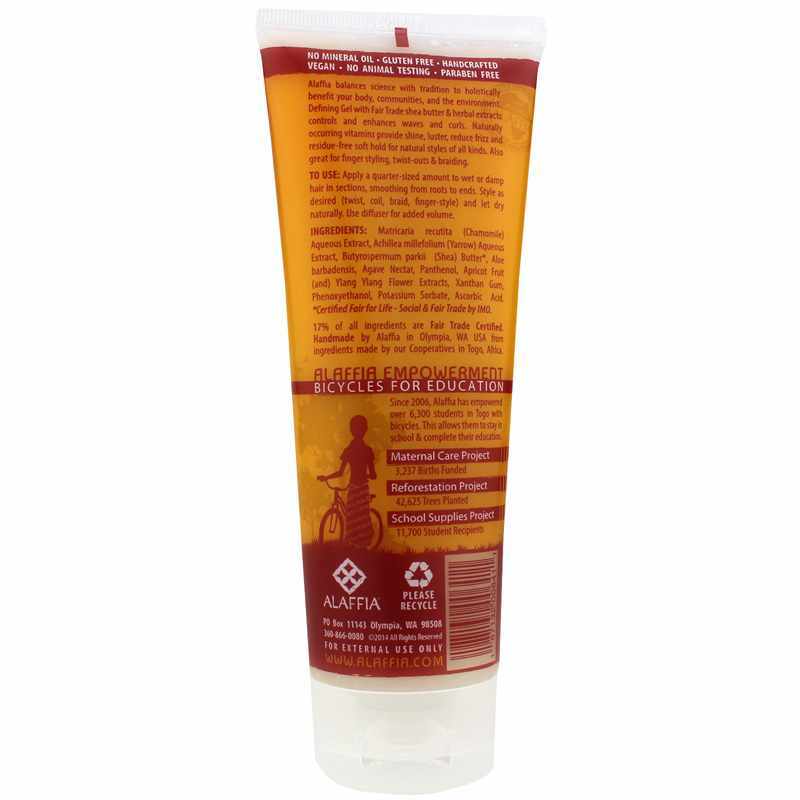 Apply quarter-sized amount to wet or damp hair in sections, smoothing from roots to ends. Style as desired (twist, coil, braid, finger-style) and let dry naturally. Use diffuser for added volume. It works & my hair feels great! I'm a bit skeptical about trying products like this because I'm older with colored grey hair and never sure how things will work on my hair. This Curl Defining gel is wonderful. My hair feels soft and full when I use it and it does enhance the natural wave in my hair! You'll love it! It holds good and it doesn't look crunchy like other gels. It is more like a liquid than a gel. I have wavy hair that needs light products, most of the curly hair products are too heavy for it. This works great! I am really happy I gave it a try.